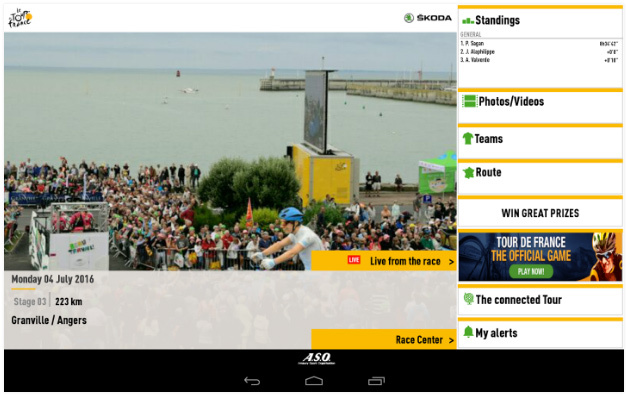 Enjoy exclusive video content with the official 2016 Tour de France application presented by ŠKODA! Check the race’s breaking news, view the riders on stage maps or live stage profiles, and enjoy unique behind-the-scenes content. Apart from great functions that were featured in last few years, you can newly experience Race Center – a new live tracking module and great customizable notification system. This app shouldn’t be missing in any Tour de France fan’s phone! Tour de France 2017: Kittel Won Another One! Tour de France Stage 9 Results: What a Win for Rigoberto Urán!